Located close to the River Clyde in Clydebank, Glasgow, the rather picturesque setting hosts the Auchentoshan distillery, with the name ‘Auchentoshan’ meaning ‘corner of the field’. The distillery was officially granted a license and opened in 1823, although there is evidence that a distillery was operating on the same site from the late 1700’s. The distillery has changed ownership on several occasions in its history, including a spell under Scottish brewing firm, Tenants during the 1960’s. The current owners are Morrison Bowmore, who took control in 1984 and were subsequently taken over 10 years later by Japanese drinks company Suntory. With a resurgence in recent years, consumption can now be granted to the US, Canada, Nordic countries as well as Russia. So as mentioned, Auchentoshan is rather unique in its production of this Lowland Scottish whisky. 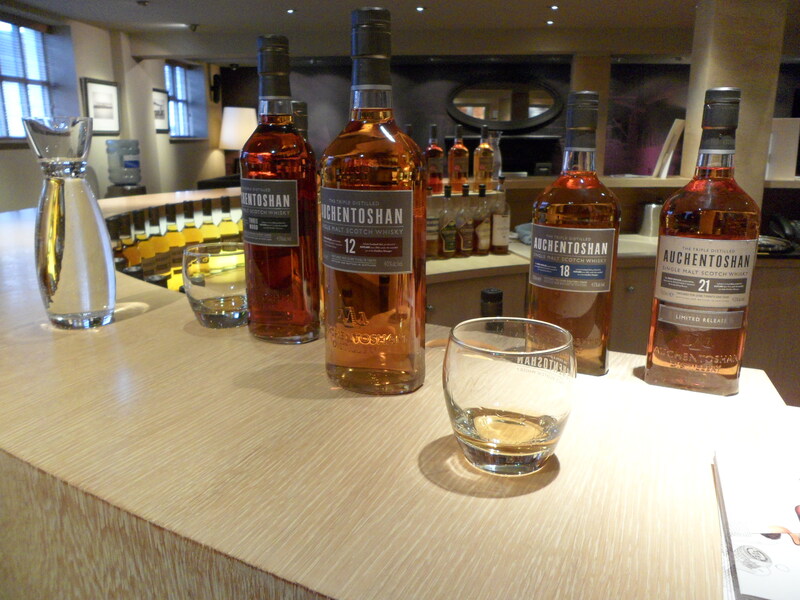 Auchentoshan begins life using malted optic barley which spends 2 days soaked in water and then gently kilned. The barley is then ground into grist which maximizes the amount of starch that converts into sugars during the mashing process. After milling, it is then ready for combining with yeast and water from Loch Katrine. The barley is fed into a lauter tun (a huge copper pot) and combined with the Lock Katrine water first at 63.5°C. The second filling is at 74°C and left for 1 1/2 hours, and the third at 94°C (the heat helps turn the starches into sugar). After two fillings, it’s ready for fermentation (the third filling is used as the first water in the next mash). After eight minutes of fore-shots, the spirit starts to runs clear. This is known as the ‘new make spirit’. This ‘new make spirit’, is collected in the spirit receiver until the alcohol content drops to 80% ABV. The last process is known as ‘off spirit’, which is a second cut. This ‘second cut’ is recycled by re-distilling The ‘new make spirit’ makes its way to the intermediate still, at 19% ABV and around 16,400 litres. Again heated up, the alcohol vapour travels up and through the lyne arm, and cooled in a condenser where it is then pumped through the spirit safe and into the feints receiver. Finally, they take the high strength feints and distil 2600 litres in the spirit still. After passing through the spirit safe for the third time, it hits the spirit receiver at between 80 and 82.6%. Here it is now ready to be cask filled at a strength of 63.5%. Get all that? Don’t worry if you didn’t. It can be rather hard to explain the complicated process of the production of whisky, especially without sounding too geeky. If it helps, take a look at this. For maturation, Auchentoshan use ex American bourbon oak barrels from Wild Turkey and Jim Beam at a cost of £80 and £100 per barrel. Spanish sherry casks are also used – Oloroso and Pedro Ximenez at around £800 a barrel. American oak is used to blend in flavours of caramel and vanilla, as well as to give it a sweetness, while dark, rich flavours and citrus notes are released from the Spanish casks. The darkened, cold warehouse housed casks raging from ages 6 to 50 years old, although the 50 year barrels will hold less due to natural evaporation causing the alcohol and water to be released. Matured in first filled American bourbon barrels. Gives off a light, delicate vanilla scent on the nose, with white fruit coming through near the end. The palate enjoys a sweet vanilla, with a fresh citrus flavour that creates a lingering aftertaste. Matured for 12 years, an instant burst of citrus flavours hits your nose, with a distinct toffee aroma floating rather quickly behind. Very smooth on the palate, with raisin and nut blending nicely with a sweetness lingering soon after, with a small hint of ginger. Matured in three different cask types, American bourbon to Spanish Oloroso sherry and finishing in Pedro Ximenez sherry casks, a nose of deep sweetness, orange and raisin mix extremely well, with a heavy dose of black currant to finish. The palate has some dry fruits of raisin, with fresh lemon and butterscotch dancing slowly resulting in a long oak finish. The Classic Auchentoshan at cask strength. Floral and very clean on the nose with a sweet malt and a creamy flavour on the palate. Lingering finish. Smoother with drops of water with a slight power kick at the end. Auchentoshan’s first ever single malt to be solely matured in virgin North American oak casks. Bold on the nose which softens with fresh oak, spice and vanilla blending well. A sharp beginning on the palate that develops a sherry flavour, a little spice and a creamy texture. A lingering finish. In a mixing glass full of ice, pour the violet syrup and stir. Strain the violet syrup out. Pour the rest of the ingredients over the ice, stir and strain into a Martini glass. 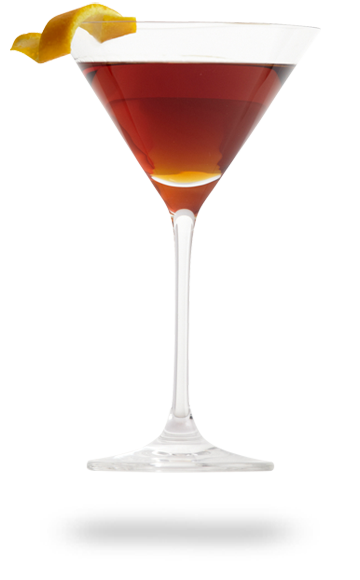 A great twist on a whisky classic! Auchentoshan takes their versatility seriously, even going as far as being host to one of the most innovative cocktail competitions in the world today, Auchentoshan Switch. 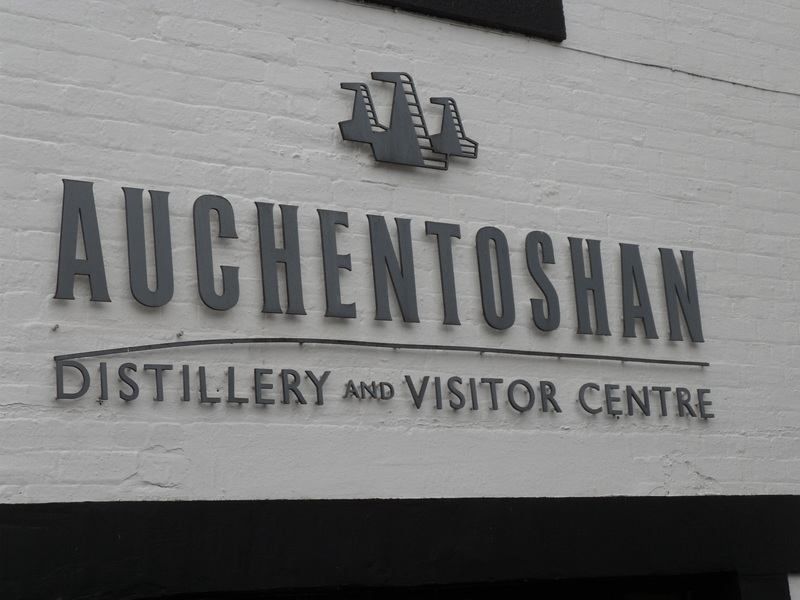 I’ve been lucky enough to visit the Auchentoshan distillery a few years back, incidentally my first every whisky distillery tour. You can check out my review of the trip here. In the meantime though, you need to purchase yourself a treat, or indeed grab a dram in your nearest whisky bar. The brand is nearly 200 years old for a reason.